It’s no secret: we love university presses, and this annual feature represents our ten favorite books from the eighty or so universities we regularly cover. Erotica excepted, does any genre surpass travel writing in its ability to deliver reading pleasure, particularly when photos or illustrations accompany masterful prose? How better for a writer and reader to connect if not over their shared fondness for a distant locale? In the airy, self-deprecating style of Robert Louis Stevenson, an American couple captured the imaginations of UK and US readers through the five illustrated cycle-travel books they created beginning in the 1880s. 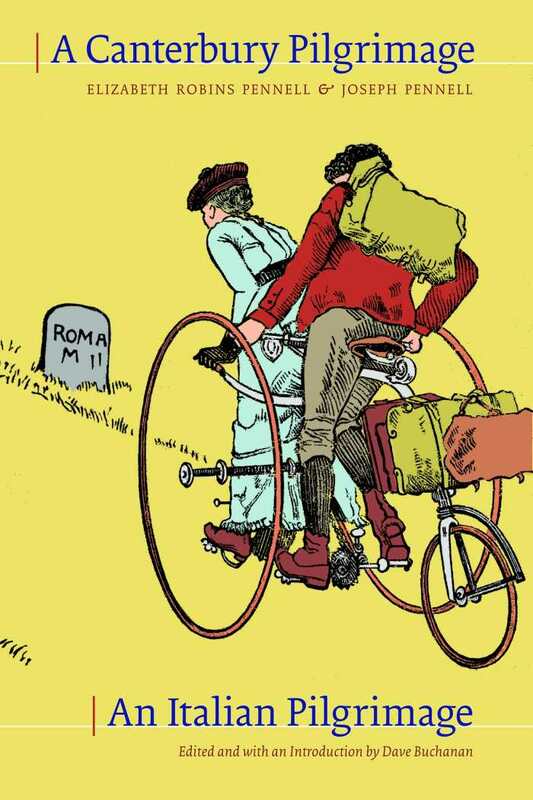 Yes, bikes existed back then—they were all the rage, in fact—and Elizabeth and Joseph Pennell succeeded in bringing the leisure-touring idea to the forefront through their jaunts aboard a tandem tricycle outfitted with luggage racks. Our road for some distance went over streets laid with the great stones of old Tuscan pavement—and for tricyclers, these streets are not very bad going—between tall grey houses, with shrines built in them, and those high walls which radiate from Florence in every direction, and keep one from seeing the gardens and green places within. Women, plaiting straw, great yellow bunches of which hung at their waists, and children greeted us with shouts. Shirtless bakers, their hands white with flour, and barbers holding their razors, men with faces half shaved and still lathered, and others with wineglasses to their lips, rushed to look at this new folly of the foreigner, for ours was the first tandem tricycle ever seen in Italy. The Jewish victims of Nazi barbarism died while the world shamefully chose to look the other way, and only when the concentration camps were liberated at war’s end did a few thousand Allied personnel see the evil firsthand. In northwest Germany, the notorious Bergen-Belsen camp and its sixty thousand prisoners were surrendered to VIII Corps of the British Army on April 13, 1945. Unbeknownst to many, hundreds of Canadian airmen, paratroopers, soldiers, doctors, photographers, and other specialists assisted in the liberation and subsequent relief efforts to follow. Mark Celinscak’s Distance from the Belsen Heap offers the unique and haunting perspective of the language, metaphors, and narratives of many of those Canadian and British eyewitnesses—virtually all of whom held the belief that “camp” meant a “work” facility for political prisoners, not a murderous hellhole of starvation, disease, and violence: “What was now present before their eyes was previously unthinkable … a world men felt totally unprepared and unequipped to grasp,” writes Celinscak. “Most of the inmates in Bergen Belsen had been systematically starved, most to death or near death. … 35,000 people had died between January and March 1945. … In the final days of German control of the camp, there was no water or food. Sanitation facilities were non-existent. Disease and infection were rampant.” Shockingly, another fourteen thousand died after the camp was liberated. 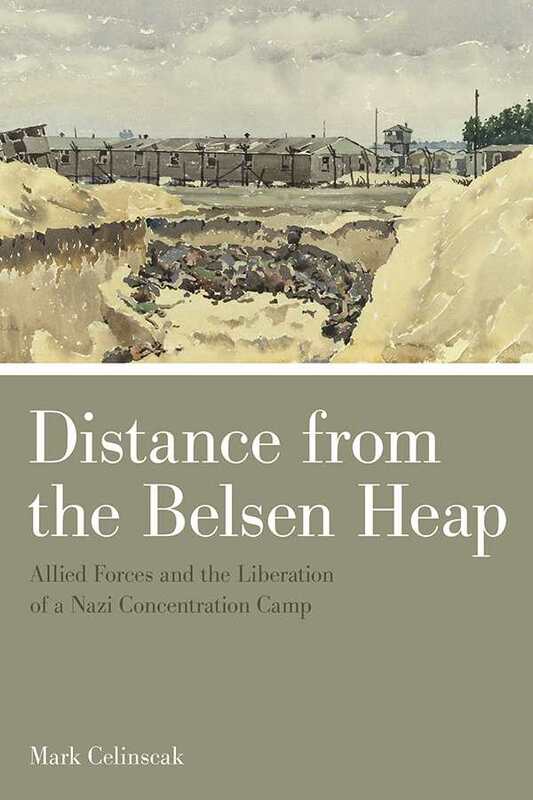 Disturbing as it is, Distance from the Belsen Heap is compulsory reading, nonetheless. Thou shalt not covet thy neighbor’s wife’s ability to speak Greek, especially if thou art older than twenty-five years. Okay, you’re right, that one didn’t make the Commandment cut, but a merciful God surely wouldn’t want us chasing the impossible—such is the apparent difficulty in learning a new language as an adult. 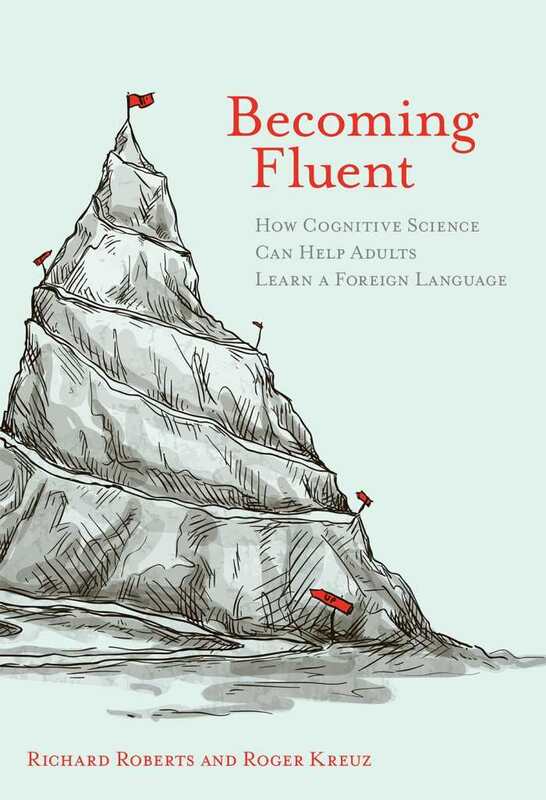 In Becoming Fluent: How Cognitive Science Can Help Adults Learn a Foreign Language, Richard Roberts and Roger Kreuz turn conventional wisdom on its head and identify dozens of advantages adults have over kids in language skills, beginning with the simple fact that adults have advanced knowledge, skills, and nonverbal communication mastery. The authors acknowledge that children do have a couple language-learning advantages—an ability to acquire local accents, and they also don’t bring adult-sized anxiety to their study sessions—but Roberts and Kreuz point to antiquated teaching methods as the main culprit holding adults back. Namely, rote memorization methods, which have long been the go-to technique, are counterproductive for adults because this memory ability declines with age. So new language learning approaches are needed, and that’s exactly what Roberts and Kreuz offer in this inspiring book. Cognitive science is key, say the authors, because “it represents a deliberate shift away from extreme specialization” in favor of inclusivity and new points of view that allow adults to bring their formidable acquired talents to bear in the effort to learn a foreign language. The authors cite dozens of pertinent studies and research. Their conclusions and recommended techniques are wholly science driven and encouraging. Stargazing, our species’s second most favorite thing to do at night, has long captured the imaginations of dreamers and storytellers. Like staring into the high-tech digital screens of today, the unfathomable night sky was mesmerizing to our ancestors—mostly because they didn’t know what they were looking at. Thanks to telescopes, spectrometers, and certain scientists with brains the size of Pluto, we now know the earliest stars started forming in the cooling universe just a few hundred thousand years after the Big Bang, only quickly to go supernova. 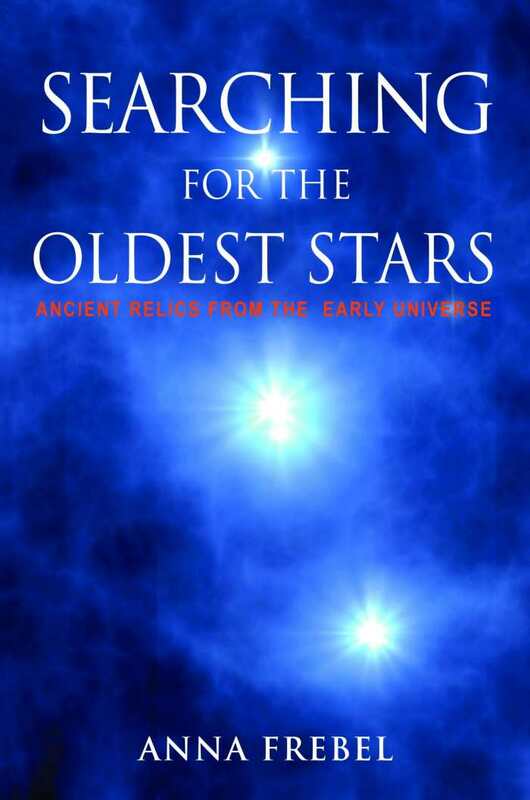 Anna Frebel’s Searching for the Oldest Stars explains just how magnificent an achievement it is to discover stars as old as thirteen billion years, each of which contain trace chemicals of the newly formed universe, detectable by measuring the number of atoms of certain elements present in the stellar atmosphere. Heady stuff, but well within the cerebral wheelhouse of Frebel, a top scientist in stellar archaeology and the intrepid discoverer of several of the oldest stars on record. With a preschool teacher’s patience, she explains the day and night routines of astronomers, how they collect data on celestial objects, details of nucleosynthesis processes, and all manner of things that can go wrong in the world’s largest observatories. Edifying, engaging, and ever more reason to be humbled by the starry night, this project is a delight. 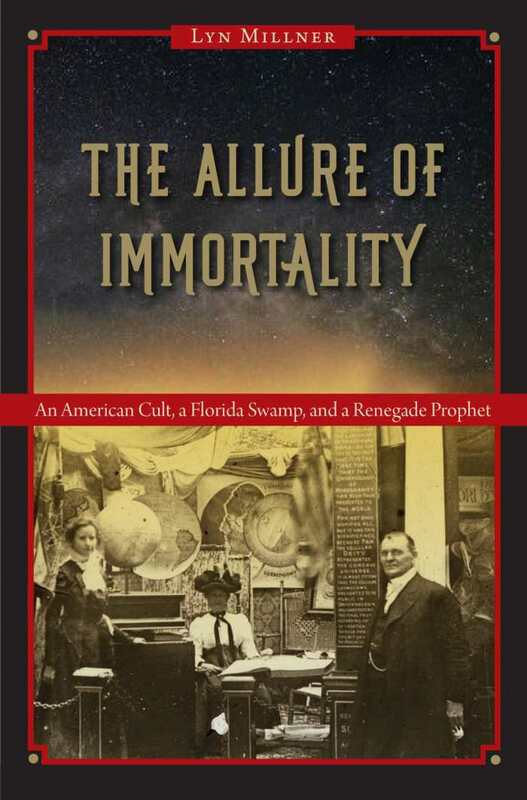 In The Allure of Immortality, Lyn Millner relates the headshaking tale of how Teed converted two hundred seekers into celibate Koreshans and led them from Chicago to a Southwest Florida promised land, based on a religion-science “mix of millennialism, mesmerism, the beliefs of Swedenborg, theosophy, spiritualism, mind healing, Buddhism, the primitive Christian church, Egyptian myth, gnosticism, electromagnetism,” and the irresistible idea that the entire universe was contained in a hollow earth. No, you can’t make this stuff up—unless you’re Teed, of course. Consider the violin virtuoso: in her late teens, Eastern European, humble beginnings, she performs in prestigious concert halls the world over, alone on stage, imperturbable, and beautiful too. Yes, it’s also true that she was practicing for ninety minutes a day at age three, three hours at age six, and five hours by eight years old, at which time her parents stopped her general education to concentrate fully on music because a renowned violin master had agreed to take her on. Before the age of ten, her soloist career path hit its stride—a breathless, high-pressure schedule of daily practice, lessons, rehearsals, competitions, regular public appearances, and, presumably, sleep. 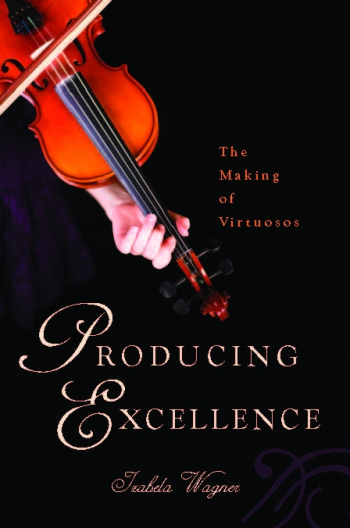 Such is life for the average prodigy, we learn in Producing Excellence: The Making of Virtuosos, Izabela Wagner’s compelling examination of one hundred or so children pursuing violin greatness. Wagner’s own children were students in a soloist class in Paris in the early 1990s. She later kept ethnographic journals of that school, and observed in other classes in France, Germany, and Poland, as well as at eleven international competitions. More than twenty young students lived in her home over the years. The emotional heart of this project is Wagner’s numerous interviews with acclaimed violinists about all aspects of their lives in music, and especially the complicated parent-teacher relationships. To all those kids out there dreaming of reaching the highest levels of classical music fame, this book whispers be careful what you wish for. 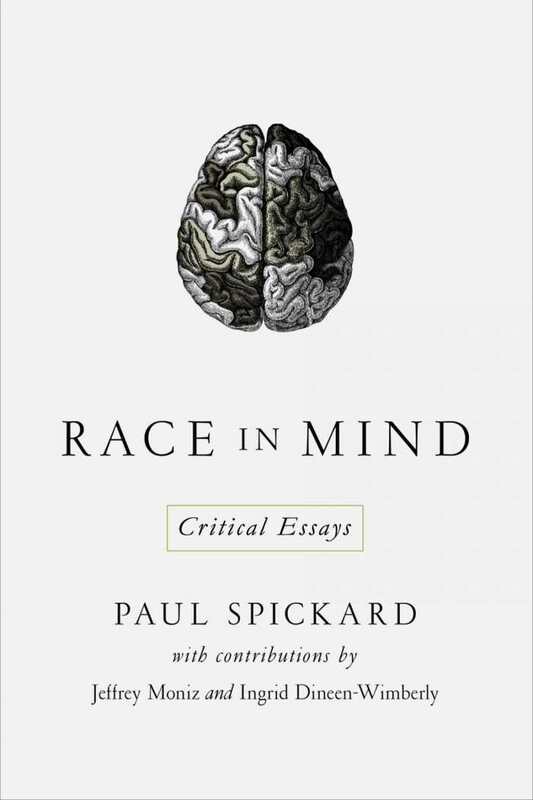 The fourteen Critical Essays in Paul Spickard’s Race in Mind bring to the fore many delightful and provocative observations and one abrupt realization: race is and always was a dumb idea. That is, after many several thousand years of migrations, assimilations, and boundless sexual relations (some of it consensual), the notion that an individual homo sapien might fall neatly in the fold of one racial identity is biologically impossible and absurd. Many of the later essays in this collection deal with multiplicity—“people who are manifestly multiple in their racial ancestry”—and delve into the racial history, affiliations, and loyalties of Asian Americans, Hawaiians, and Pacific-Islander Americans. The extraordinary life of this brilliant botanist attains its only-in-America moniker not only because George Washington Carver was born into slavery and subject to the vile-level racism of the Jim Crow era, but because of his Andy Griffith-like good cheer, his optimism, and his friendships with Mahatma Gandhi, Teddy Roosevelt, and Henry Ford. Moreover, as an infant, he nearly died of whooping cough, which permanently left him speaking with a high, girlish voice—a fact that further distinguished him the whole of his life. 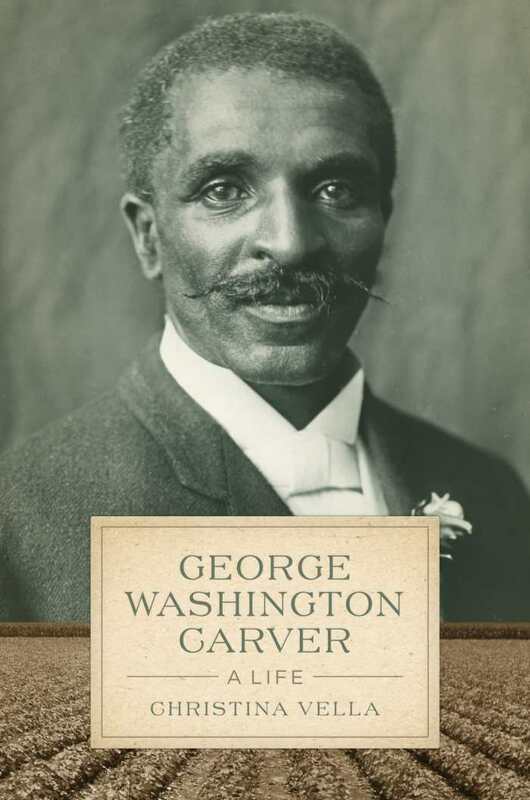 Rising above the scores of books written for kids, this is the first scholarly biography of Carver in thirty years, and surely excels above all others in examining how his personal life and love interests impacted his career. In a 1968 speech to the International Union for the Conservation of Nature, Senegalese ecologist Baba Dioum said, “In the end, we will protect only what we love, we will love only what we understand, we will understand only what we are taught.” And there is the nutshell necessity behind A Chorus of Cranes—magnificent photos and illustrations, natural history, biology, and conservation efforts for the whooping, sandhill, and other crane species—and readers will be far more likely to join the effort to preserve crane habitat. The remarkable crane is one of the oldest bird groups. North America’s sandhill crane has not changed in nine million years, according to fossil finds in Nebraska. From South Africa to the Arctic, footprints confirm that cranes have been vocalizing their deep-throated call (whooping cranes have sixty-two-inch tracheas) for sixty million years. This invaluable project pairs perhaps the world’s foremost authority on ornithological studies, Paul A. Johnsgard, with Thomas D. Mangelsen, one of American Photo magazine’s 100 Most Important People in Photography. 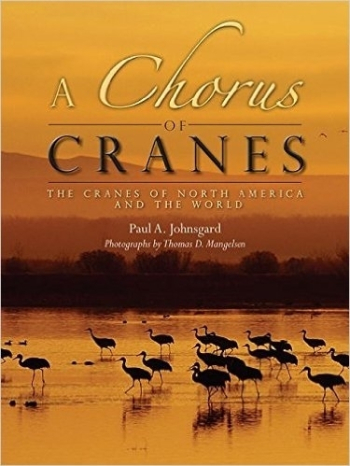 With particular focus on sandhill and whooping cranes, and shorter chapters on the world’s thirteen other crane species, Johnsgard and Mangelsen showcase social behavior, migratory habits, anatomy, natural habitats, and fascinating crane lore. These ancient creatures, with their all-too-human features, finally have a book that solidifies their high perch on this planet. By George, we hardly knew ya. One of the great lamentations of American historians is the dearth of knowledge about George Washington’s childhood. Washington rarely talked about it later in life, and we’re left with fabrications about hatchet jobs on cherry trees and other parables created by Mason Locke “Pastor” Weems, an early, particularly inventive Washington chronicler. Even while his tales have stuck permanently to the Washington persona, Weems and others—more than twenty-one thousand books list George Washington in their title—had little else to go on, and they were thrilled to fill in the gaps in knowledge with their own speculations and projections. Levy writes beautifully and ties together an untold number of unlikely threads while pursuing his ideas in satisfying directions. 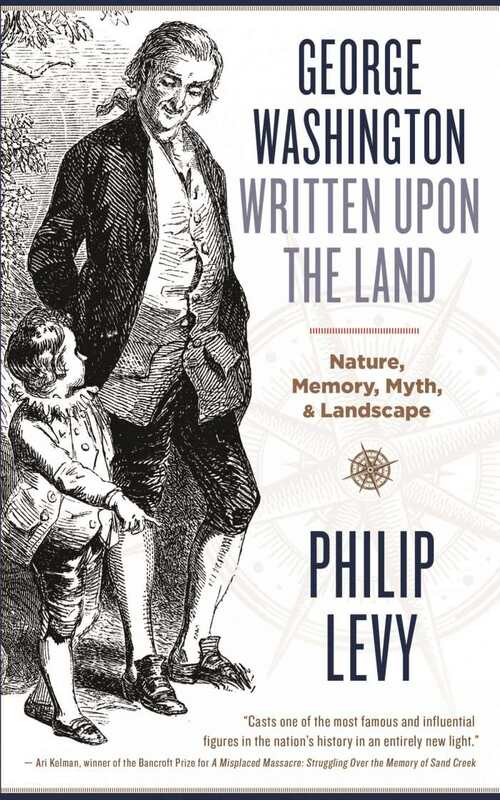 In an intriguing final chapter, he even speculates on Washington’s connection to the onset of human-caused climate change, and links the cherry-tree fable to Jewish ethics and how man relates to the material world. No less the legend, George Washington seems a bit more human and contemporary under Levy’s gaze.